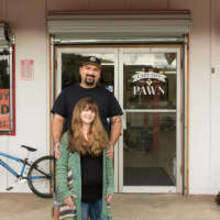 We are a family local shop in Redwood Valley CA, on the side of HWY 101. We are one of few music stores in our area. Have a wide selection of guitars, amps, keyboards, pedals, strings, pics etc. Come over and check us out. We work with great people that have alot of knowledge on instruments, records, musicians, models & years.